Taking risks can be exhilarating when a skilled partner has your back. 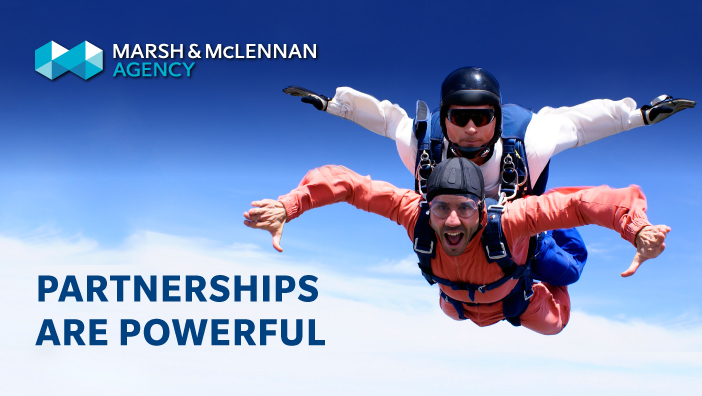 We work closely with CFOs and business leaders to develop strategic partnerships and insurance solutions that support your business in the moments that matter. Designed to meet the unique needs of growing companies, MMA epitomizes the high-touch service model typical of a local consultant while providing access to the global resources of the world's leading insurance broker, Marsh. Our clients truly benefit from the best of both worlds. Let us help make a difference in the moments that matter for your organization. What can we help you with? Are you interested in Business Insurance or Employee Health & Benefits?